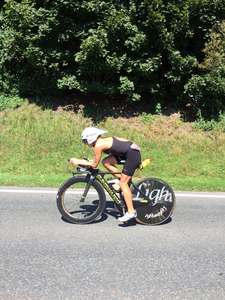 It is interesting to see that the pro field seems split in their decision to ride a disc wheel or spoked wheel. Gomez, Don, Griffin and Ryf all opting for spoked rear wheels. Our women's race leader Daniela Ryf said before the race that it was great to be able to prepare really close to the race and not have to travel too far. "I think it's going to be really special. My family and friends are here too, which will make it more emotional". 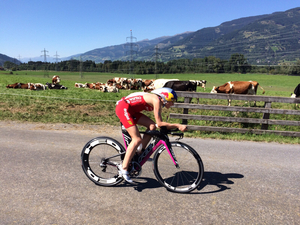 Frodeno putting the pressure on in third. We're in a more technical part of the course now as the athletes head toward Kaprun, there are some nice risers, some turns, etc. 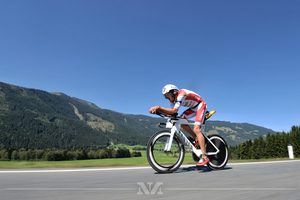 IRONMAN.comAn IRONMAN 70.3 race is the perfect distance in so many ways. Sign up and get training with this no-frills plan. The men's top 10 are all within 4 minutes of each other. Don in the penalty box. Dreitz is just minutes away from T2. 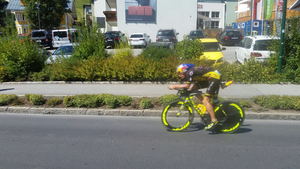 Kienle got massive cheers riding through downtown Zell am See. Jesse Thomas has one of the funkier bike set ups but it is working for him today. The time he's spent in town these past two weeks is paying off today. 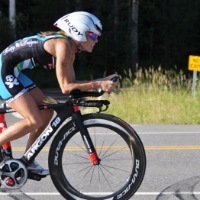 IRONMAN.comCheck out what our new third-place woman had to say about pressure, her race-day fueling strategy, and her post-race plans. It's really heating up out here, with temps expected to hit 32 degrees C. This will affect the athlete's nutrition strategies for sure. 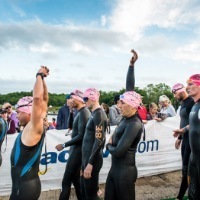 Unsure of where to start with your own race fueling? 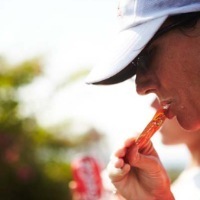 IRONMAN.comDial in your food and drink to finish your first IRONMAN on top. Anja just spotted Daniela on the out and back section, let's see if she can respond as the women head into Kaprun village. 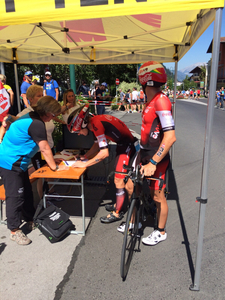 Jan Frodeno is your new #IM703WC race leader. 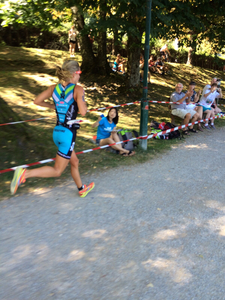 This flat and fast run course around the lake allows competitors to see their competitors as they head back to T2. 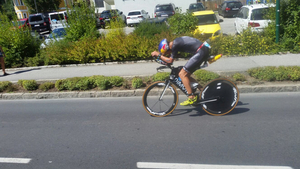 Boecherer 30 sec back of frodeno and Dreitz. 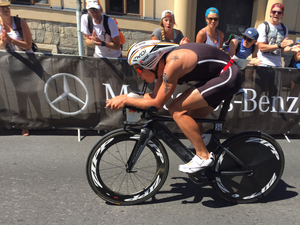 Hot weather seems to be following Frodeno around this year, after his impressive win at the steamy IRONMAN Frankfurt. Next up, Kona! 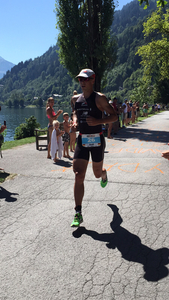 Gomez passed Raelert for 5th place.